Published in 2014, Hard Love Province is a collection of nuanced elegies, high-flying love songs and unforgettable quatrains. The book won the Anisfield-Wolf Book Award, the National Prize for Literature on racism and diversity. Past recipients include Martin Luther King Jr. and Malcolm X. 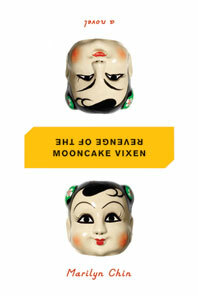 In an uproarious debut, Revenge of the Mooncake Vixen lays bare the complicated generational relationships of Chinese American women. In the 41 tales, each constituting a chapter, the novel fuses fiction with elements of poetry and fables, creating its own genre. Raucous twin sisters Moonie and Mei Ling Wong are known as the “Double Happiness” Chinese food delivery girls. Each day they load up a “crappy donkey-van” and deliver Americanized (“bad”) Chinese food to homes throughout their Southern California neighborhood. United in their desire to blossom into somebodies, the Wong girls fearlessly assert their intellect and sexuality even as they come of age under the care of a dominating, cleaver-wielding grandmother from Hong Kong. They transform themselves from food delivery girls into accomplished women, but along the way they wrestle with the influence and continuity of their Chinese heritage. Marilyn Chin’s prose waxes and wanes between satire and metaphorical lyric, referencing classical Chinese tales and ghost stories that are at turns sensual, lurid, hilarious, shocking, and surreal. Read a chapter or listen to Marilyn read an exerpt. Marilyn reads Parable of the Cake. Marilyn reads Monologue: Grandmother Wong’s New Year Blessings. “Rhapsody in Plain Yellow” fuses East and West and popular and high culture as ancient Chinese history marks this distinguished collection. With her multilayered, multidimensional, intercultural singing, Marilyn Chin elegizes the loss of her mother and maternal grandmother, attempting to unravel the complexities of her family’s past. She explores the trials of immigration, exile, thwarted interracial love, and social injustice. Some poems recall the Confucian “Book of Songs” while others echo the African American blues tradition and Western railroad ballads. 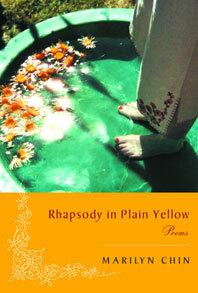 The titular poem references the Han Dynasty rhapsody. Political allegories mixed with personal revelations that evoke a universal cry for compassion and healing. These songs emerge as a powerful and elegant collection: sophisticated yet moving, hard-hitting yet refined. An essay by Jean Larson. 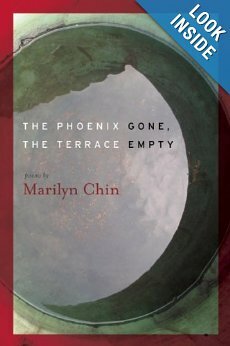 Marilyn Chin has been widely recognized as a consummate poet of the hybrid experience, blending East and West and the personal and political. Praised for its streetwise lyricism, this groundbreaking volume captures a young immigrant woman’s perspective as she encounters the nexus of tradition and commercialism in modern, diverse, and urban California. With this new edition, a modern classic is reintroduced to a new generation of readers. 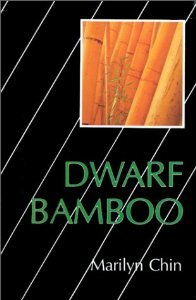 Chin’s first collection of verse, Dwarf Bamboo, which she dedicated to the Communist poet and revolutionary Ai Qing, contains many poems that focus on the immigrant experience in the United States. 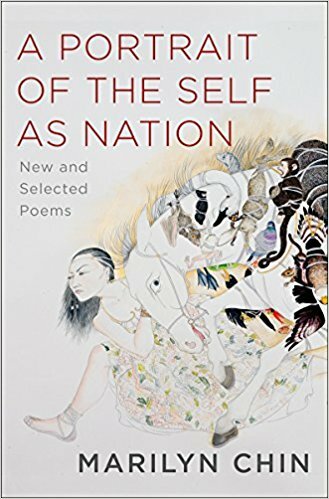 Critics have praised Chin’s poetry for its unflinching examination of the contradictory feelings brought on by immigration in general and for Asian Americans specifically. Chin conveys an openness about female sexuality and the social roles of women of color in particular. Asian women as exotic and doll-like are images that Chin evokes and undermines throughout the collection. Her frequent references to the revolutionary movement in China have earned her a reputation as an important political feminist poet. Chin is known for producing confrontational poetry that explores her experience as a first-generation Chinese-American and a woman of color in the United States as well as social and political injustices in her native China.